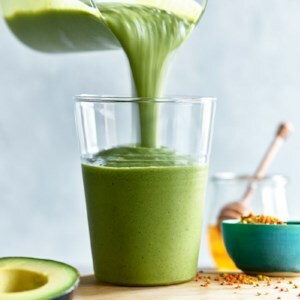 Find healthy, delicious vegetarian recipes for weight-loss from the food and nutrition experts at EatingWell. 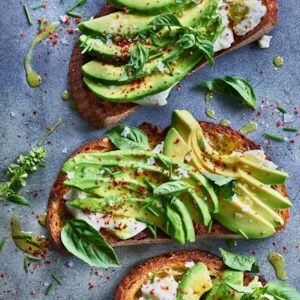 Whether you're already vegetarian or trying to cut down on meat, this meal plan makes it easy with mouthwatering meatless recipes all month long. 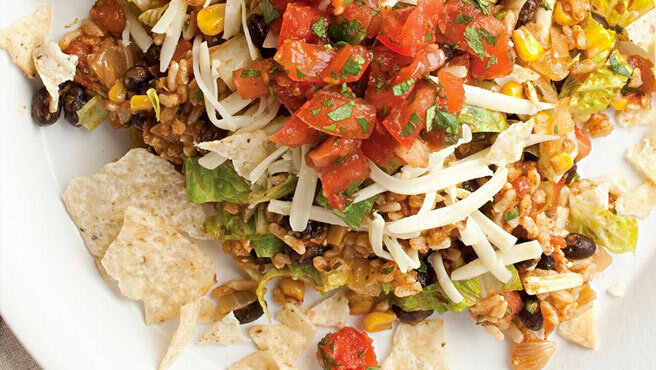 You'll never miss the meat in this healthy vegetarian taco salad recipe. 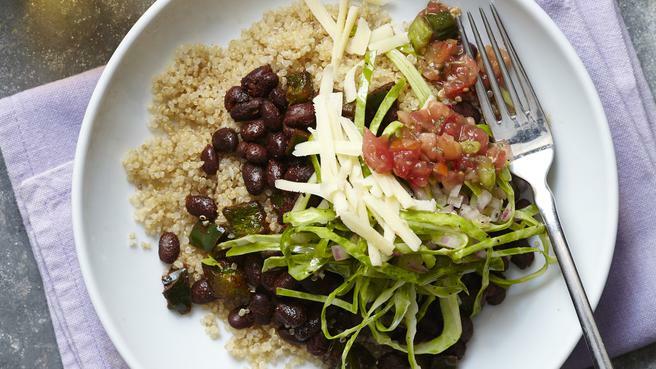 Filled with brown rice, beans, cheese and fresh veggies and served with lime wedges and fresh salsa. 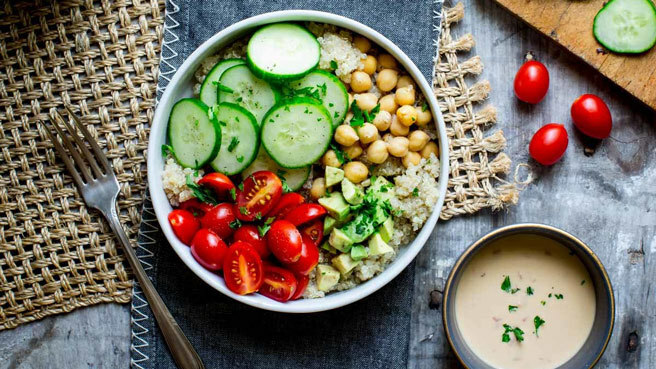 Go Vegetarian to Lose Weight! Going meatless has many advantages, be it for your health or for the environment. But can it help with dropping pounds? Yes, vegetarians may lose more weight than meat-eaters. 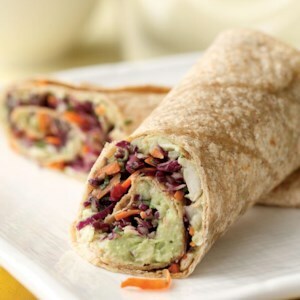 White beans mashed with ripe avocado and blended with sharp Cheddar and onion makes an incredibly rich, flavorful filling for this wrap. 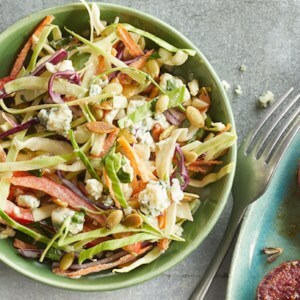 The tangy, spicy slaw adds crunch. A pinch (or more) of ground chipotle pepper and an extra dash of cider vinegar can be used in place of the canned chipotles in adobo sauce. Wrap these up to take as a healthy and portable lunch for work. 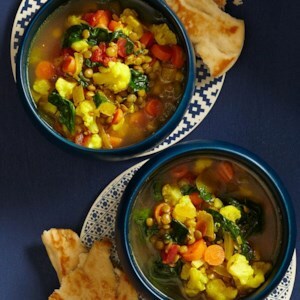 Like most soups, this Moroccan lentil soup recipe gets better with time as the complex seasonings have time to develop. Make it a day ahead if you can--this easy slow cooker/crock pot recipe variation makes it a cinch to get the soup cooking while you do other things. 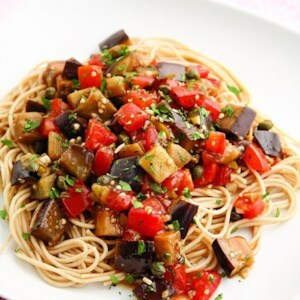 Diced eggplant turns tender and tasty sautéed with garlic and olive oil. Toss with fresh plum tomatoes, green olives and capers and you have a simple light summer sauce. We like it over angel hair pasta, but any type of pasta will work. 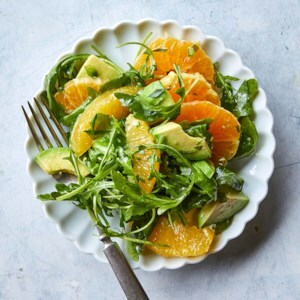 Serve with freshly grated Parmesan cheese and a mixed green salad. 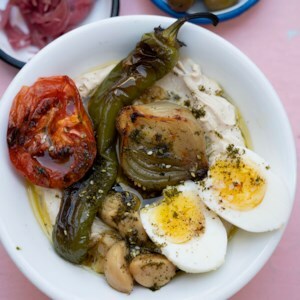 Serve these vegetables and super-lemony hummus with warm pita bread and a sprinkle of fruity za'atar, and you'll be transported to the hustle and bustle of Tel Aviv, Israel's iconic Mediterranean coastal city. 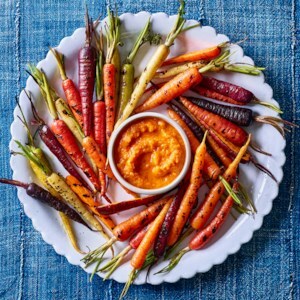 This is the perfect healthy appetizer or element of a party board for any gathering. 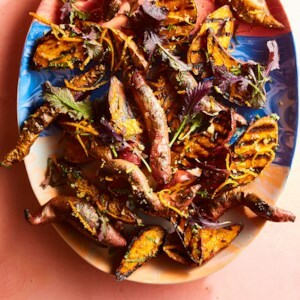 Sweet potato fingerlings (or small wedges) blister and caramelize on the grill. 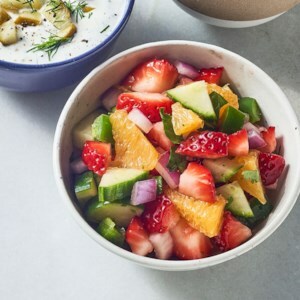 All they need is a final toss with a little butter and a blend of orange zest and mint and you have a healthy side dish that's anything but ordinary. 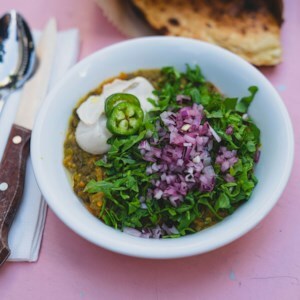 Masabacha is a thick stew that in this case serves as the backbone to a hearty and healthy breakfast bowl. But the real star here is the silky whipped tahini sauce, made by simply pureeing tahini and water with garlic and lemon juice until the mixture is transformed into a light, spreadable sauce. Serve with warm pita and some vegetables for dipping. Celebrate spring with this colorful and crunchy fresh salsa recipe! The healthy relish is a fabulous accompaniment for grilled fish, pork, chicken or beef. 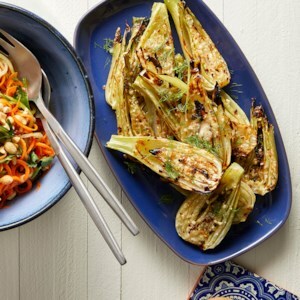 The nutty saltiness of Parmesan cheese is an excellent match for the sweet, delicate licorice flavor of fennel in this quick and easy side dish recipe. 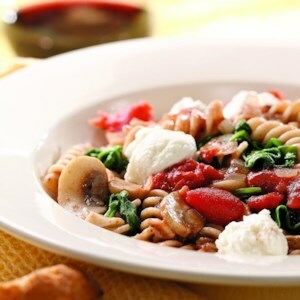 Need some new meatless dinner ideas? This vegan recipe for grilled cauliflower steaks with buttery (but butter-free!) 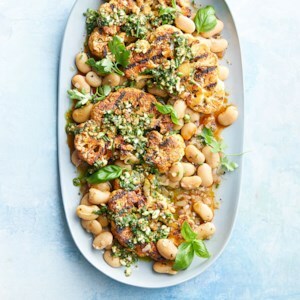 butter beans and almond pesto comes together in just 25 minutes but is impressive enough to serve to guests. We're sorry to ask you to buy 2 heads of cauliflower to make this recipe when you only cut a couple of "steaks" from each, but it guarantees the best results. Just think of it this way: having leftovers gives you an excuse to try one of our many other healthy cauliflower recipes! 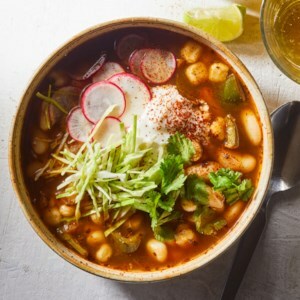 This healthy vegetarian take on the Mexican stew pozole gets tons of flavor from poblano peppers, ancho chile powder and dried herbs and spices, while cannellini beans provide substance, protein and fiber. Chewy hominy--corn that has been treated with lime to remove the tough hull and germ--is integral to the stew. Look for it in cans in the Latin section of your supermarket. Serve the stew with shredded cabbage, radishes, fresh cilantro and sour cream. 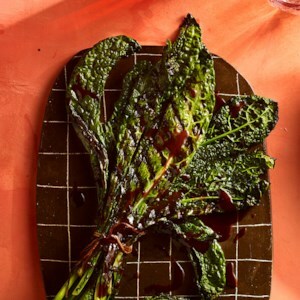 For this easy healthy salad, chef Hugh Acheson shows the power of charring vegetables as a way to add interest to a salad. 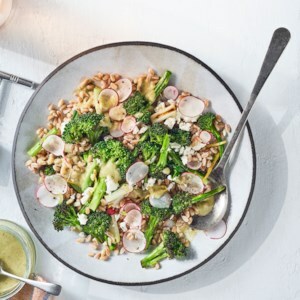 This flexible recipe can be made with a variety of whole grains, such as wheat berries, farro or pearl barley. The salad revels in the spring arrival of radishes, spring onions and bright green parsley. Sumac, which is commonly used in Middle Eastern cooking, adds a touch of tartness. Look for it in well-stocked spice sections at your market. This versatile and easy side dish is a tasty way to showcase green beans. 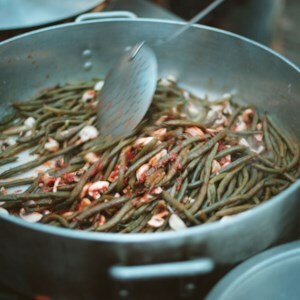 We boil the beans briefly before sautéing for perfectly crisp-tender vegetables that don't get mushy. 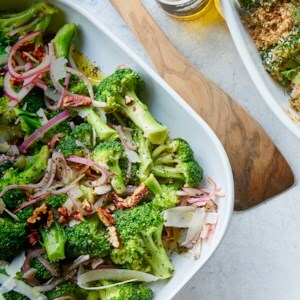 Parmesan, red onions and pecans contribute flavor and texture to this quick and easy broccoli salad that makes a great easy side dish for almost any protein. If you have leftovers, toss them with pasta for lunch the following day. Peanut butter, balanced with a little soy sauce and vinegar, makes a delicious and kid-friendly sauce for broccoli and other vegetables. 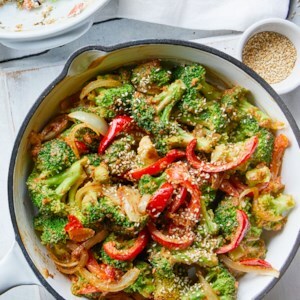 Giving the broccoli a head start by steaming it before sautéing it with the other vegetables ensures that all the vegetables are nicely cooked at the same time. 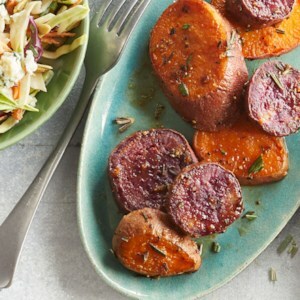 Inspired by melting potatoes, we gave the same treatment to sweet potatoes. The results? Roasted potatoes that are creamy on the inside but perfectly crisp on the outside. Adding miso to the butter mixture adds great umami flavor and helps the potatoes caramelize while baking. Don't skip lining the baking sheet or the miso-butter might burn on the pan and cause the sweet potatoes to stick. 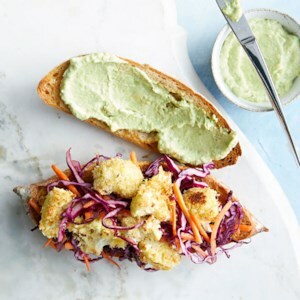 Crumbled blue cheese in a buttermilk dressing elevates basic coleslaw and is a perfect way to introduce kids to the potent cheese. Top with grilled chicken or pork for a fast and easy meal-in-a-bowl. 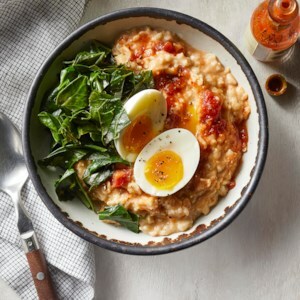 Have you tried savory oats yet? It's a nice change-up from the sweet way oatmeal is typically served, plus you get a full serving of vegetables. Serve with hot sauce, if desired.